If anything, it is the solar owners who will pay more. 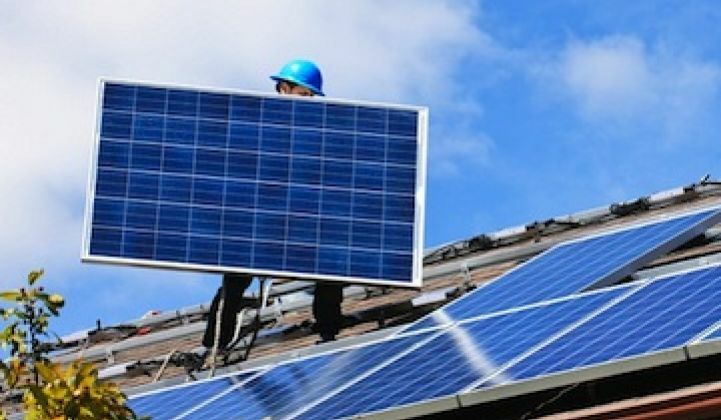 Homeowners and businesses in Nevada that install rooftop solar are not significantly shifting costs to those who do not directly invest in distributed solar, according to a new study commissioned by the Nevada Public Utilities Commission. As of December, NV Energy, which serves the bulk of Nevada’s population, had more than 3,300 systems enrolled in its net energy metering program with a total of more than 60 megawatts of installed capacity, most of which came from distributed PV. The study forecasts that NV Energy will see more than 230 megawatts added in the next two years. Although Nevada is a fairly small market for rooftop solar, it is one of many states evaluating the costs and benefits of distributed generation before penetration gets as high as it is becoming in leading states, such as California and Hawaii. 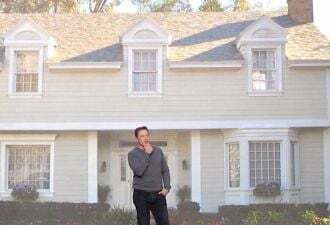 Last summer, Michael Yackira, CEO of NV Energy, asserted that solar owners were getting a free ride, while those who could least afford it were subsidizing solar households' continued reliance on the grid. 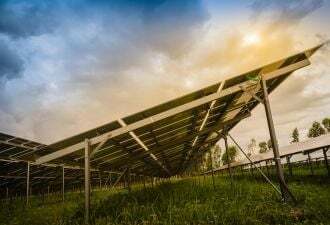 “We appreciate that the PUC took input from a range of stakeholders during the study’s development, and that impacts were calculated from multiple perspectives,” said Susannah Churchill, western regional director for Vote Solar, in a statement. Because of changes to utility incentives and net metering policies in Nevada starting in 2014, the study found that those without distributed generation would not be left paying for the grid while others defected. The study, which was done by Energy + Environmental Economics, found that the total net present value from 2004 to 2016 to non-participating ratepayers will be $36 million during the systems’ 25-year lifetimes. “Overall, we do not estimate a substantial cost shift to non-participants due to [net energy metering] going forward given the current and proposed reforms to the program,” the study authors wrote. Net energy metering customers can no longer fully avoid public-purpose charges, which are used to fund alternative and renewable energy projects. The charges are usually less than 5 percent of a total bill. 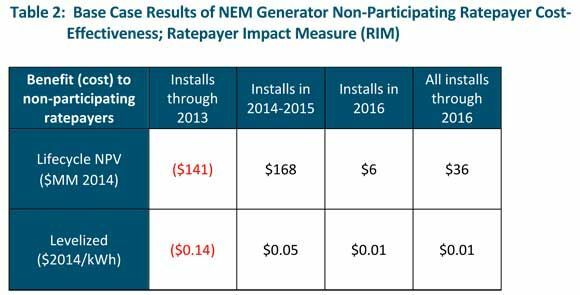 For 2014 and 2015 installations, utility incentive levels also have been reduced. 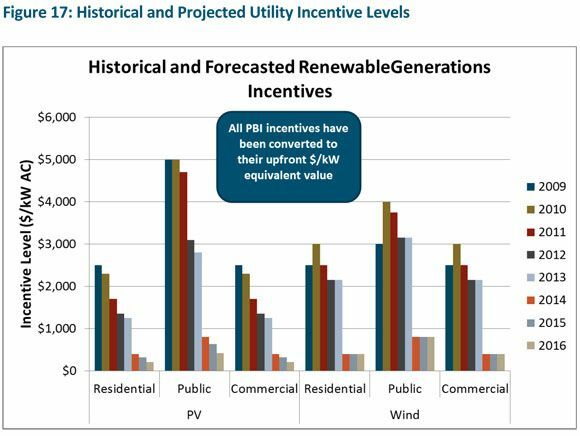 The incentives that covered upfront capital costs have been replaced with performance-based incentives for net-metered wind and solar systems, and the incentives are offered on a first-come, first-serve basis, rather than on a lottery basis. By 2016, the renewable portfolio standard multiplier will be eliminated, which reduced the amount of utility-scale RPS capacity that NV Energy will avoid from each unit of distributed generation. Prior to 2014 there was notable a cost shift to non-participating customers because the utility incentives were higher and the funding for the NV Energy’s RenewableGenerations incentive was shared by all customers. But some solar proponents argue the cost of RenewableGenerations should not have been included, and the benefits are potentially even greater than the E3 study found. “The NV Energy SolarGenerations rebate is of course an entirely separate program with a separate budget approved by the legislature, and should not be part of a net metering study,” said Churchill. She also argued that the study underestimated the health benefits of net metering programs. The study by E3 will now be used by the Nevada PUC commissioner David Noble for a full report on the impacts of net metering, according to the Las Vegas Review-Journal. The full report is due to the legislature in October.